How Much Does a Laboratory Technician Get Paid? 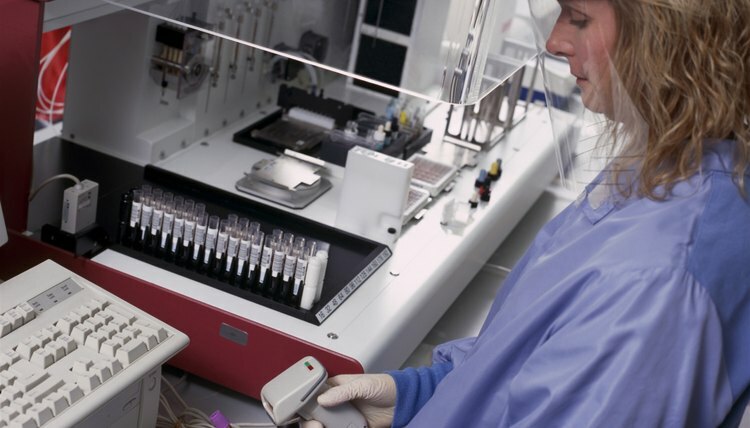 Laboratory technicians help scientists with laboratory research and development, by setting up laboratory devices, monitoring experiments and recording results. Training can begin with a high school diploma, followed by on-the-job supervision from a more experienced technician. A career can also start with a two-year or four-year degree in a related scientific field. Chemical laboratory technicians help scientists with research in chemical labs by analyzing solids, liquids and gases. According to the Bureau of Labor Statistics (BLS) their median salary is $42,070 yearly as of May 2009, with a range of $26,170 to $65,490. This translates to $20.23 hourly, with a range of $12.58 to $31.49. The biggest employers of these professionals are architectural and engineering services, with over 18 percent of the available 64,420 positions. The large number of jobs reduces compensation to under the median at $17.09 per hour or $35,540. The highest-paying employer is electric power generation and transmission, with pay at $28.09 per hour or $58,420 per year. With only 990 jobs, this sector is far more difficult to break into. Biological laboratory technicians help biological and medical scientists with research in biological facilities by examining organic substances such as blood, food and drugs. Their median annual salary is $28,700, with a range of $24,540 to $61,380. This breaks down to $18.61 per hour, with a range from $11.80 to $29.51. The biggest employers for these workers are scientific research and development services, with almost 30 percent of the available positions. Compensation here is higher than the mean at $21.50 hourly or $44,730. The highest-paying positions are with the offices of doctors, which pay $28 per hour or $58,240 per year. However, they only have 490 jobs. 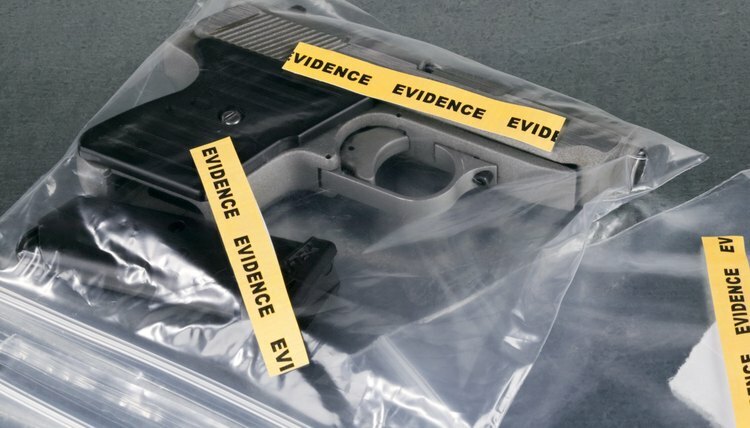 Forensic laboratory technicians assist in labs used for criminal investigations by testing weapons and substances to determine how they relate to cases. They earn a median $51,480 per year, with a range of $32,420 to $84,260. This translates to $24.75 per hour, with a range of $15.59 to $40.51. Their largest employer is local government, which includes local police departments, with almost 59 percent of all available positions. The highest-paying job is the federal government, with pay at $44.28 hourly or $92,100 yearly. But only 120 jobs are available. Nuclear laboratory technicians help scientists with nuclear physics by engaging in maintenance, production and quality control of nuclear substances. They make a median $67,340 per year, with a range of $41,330 to $92,580, which translates to $32.07 per hour, with a range of $19.87 to $44.51. The biggest employers of these professionals are architectural and engineering services, with 13 percent of the available 6,290 positions. They pay $27.31 hourly or $56,810 yearly. The highest-paying employers are scientific research and development services, with compensation at $38.09 per hour or $79,230 per year, and an employment of 470 workers. Locsin, Aurelio. "How Much Does a Laboratory Technician Get Paid?" 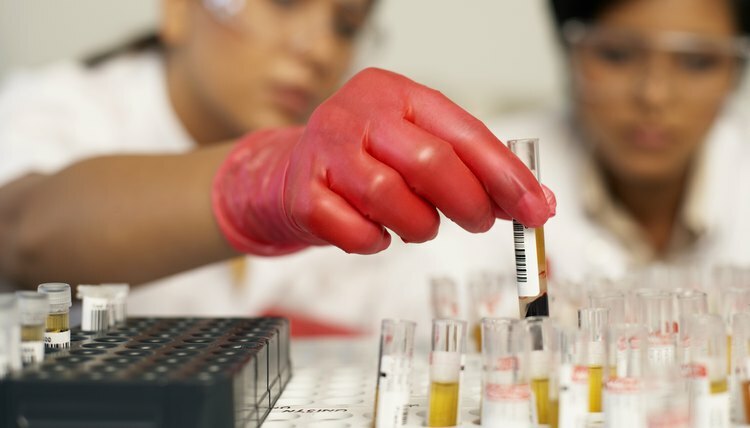 , https://careertrend.com/how-much-does-a-laboratory-technician-get-paid-13655247.html. 26 September 2017. How Much Money Do Engineers Make Each Year?